Multiple sessions that address the use of cloud technology are available to NAB 2019 BEIT conference registrants. The sessions will review particular challenges presented by broadcast, media and production workflows and the presenters will focus on how the cloud can be leveraged as a solution. One paper, "Automated Distribution Servicing for TV Everywhere" will be presented by Vamalesh Melwani, vice president of product line management at Prime Focus Technologies. 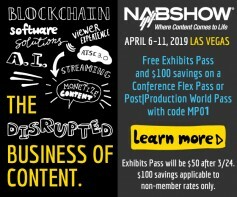 It is part of the Broadcast Engineering and Information Technology (BEIT) Conference at NAB 2019. The session will be held Sunday, April 7 in N260-A from 10:40 a.m. until 12 noon. Melwani's paper will illustrate how fulfillment challenges can be solved by leveraging the powerful combination of automation, artificial intelligence (AI), work order management and cloud technology. The proposed solution can manage deliveries across the media ecosystem, including OTT/VoD platforms, cinemas and social media. The strategy connects all stakeholders across the content supply chain, assesses missing inventory on the basis of what is required in a package vs. what is available in the MAM. Such a solution auto-generates work orders for creation of missing elements. Other cloud-enabled features include BOTs that package and deliver content to popular platforms, delivery of content to multiple destinations at one go and delivery of packages in increments. 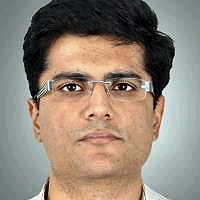 Vimalesh Melwani heads product management at Prime Focus Technologies. During his tenure, he has been closely involved in product development and customer implementations for various media and entertainment (M&E) organizations. Simultaneously, another presentation, "Cloud Ingest of Live Video – An open approach to RIST, SRT and Retransmission Protocols" will take place at N260-B on Sunday, April 7, from 10:40 a.m. until noon. This presentation focuses on the fact that most broadcasters are now on a journey to cloud-based production and distribution, with many moving live tasks like news production and playout to the cloud. In such a transition, live ingest becomes a challenge. Getting live content from where an event happens into someone else’s data center means crossing public infrastructure. 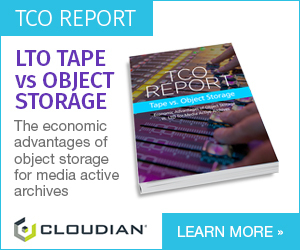 Even leased cloud connectivity cannot compare to existing media networks in terms of quality and reliability. Therefore, additional transport protection such as retransmission is needed. There are multiple retransmission initiatives today, all aiming to solve professional media transport over the internet and into the cloud. From the open source protocol SRT and the VSF standardized RIST/TR-06, there are several proprietary protocols that can accomplish this. While theoretically the industry could elect a “winner” that everyone implements, experience and tests show that not all retransmission solutions are equal. They provide fundamentally different characteristics and are therefore suitable for different use cases. 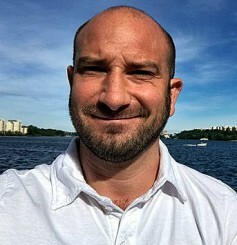 ​Love Thyresson, head of internet media transport and contribution product line at Net Insight, will present an overview of challenges and offer some solutions in his paper. Would a free exhibit's pass help? Click this link or image below and enter the code MP01 at the correct prompt. Need a free exhibit hall pass? Click on this link.